For 30 days, we’ll pick a gift idea at 30% off. Be sure to follow our Facebook and Instagram to see daily gift ideas at a discount. Offers expire every 24hrs, quantities are limited! 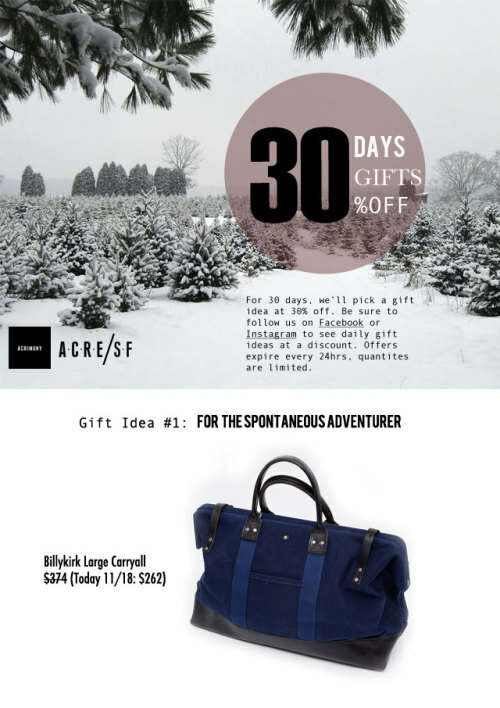 GIft Idea #1: For the Spontaneous Adventurer. The Billykirk Large Carryall.